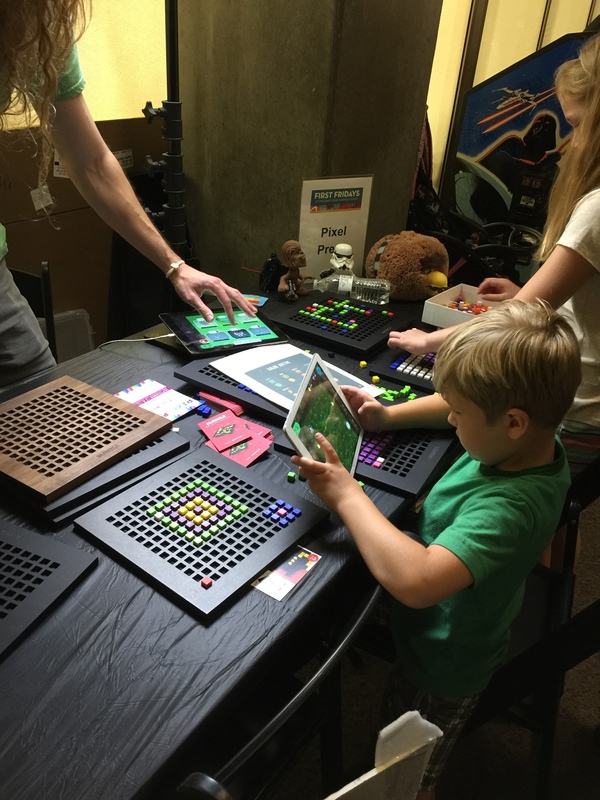 If you follow us on Twitter or Facebook you probably saw some great photos and videos recently from the Saint Louis Science Center #FirstFriday #StarsWars night. 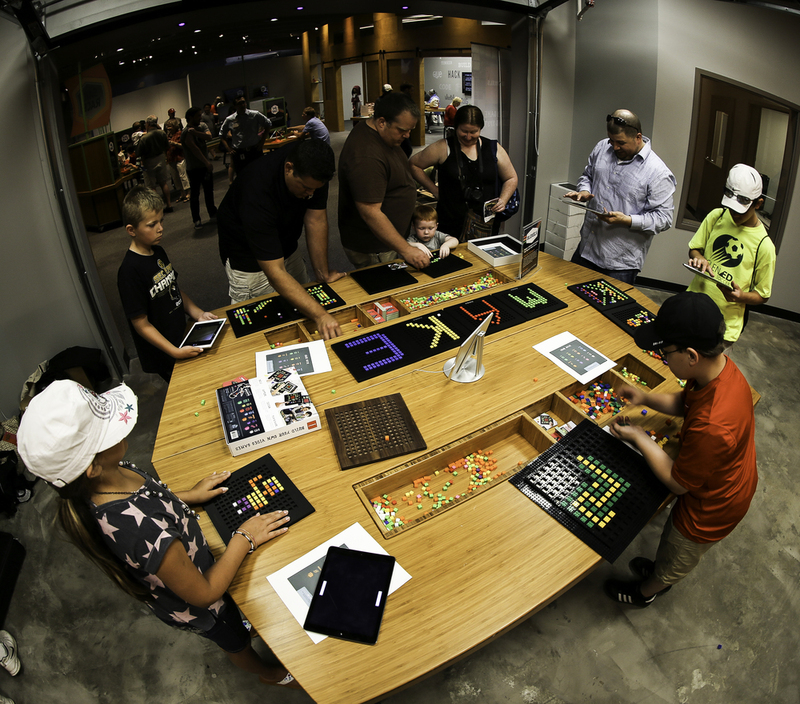 A few of them below. 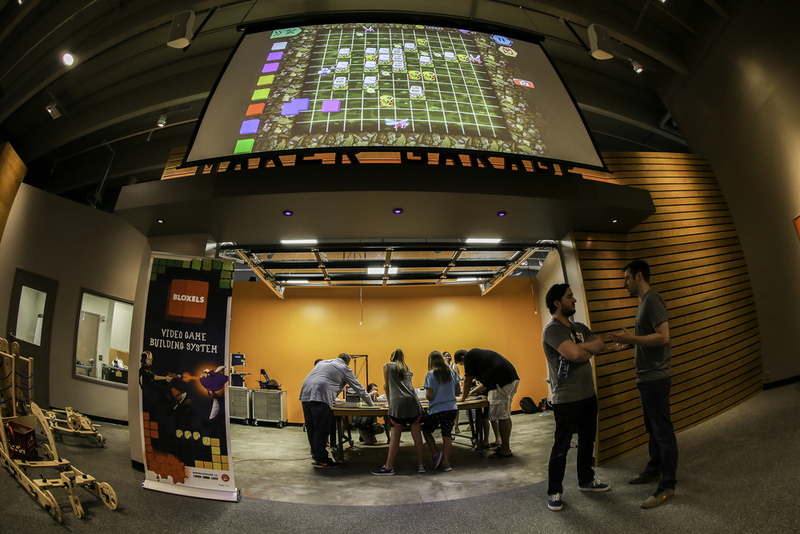 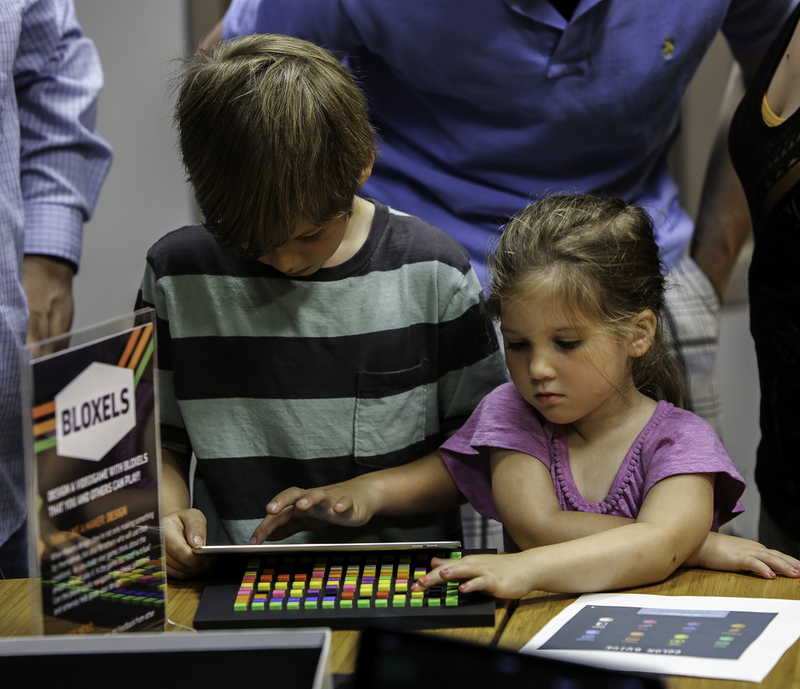 We are excited to announce that we'll be properly showing off Bloxels at the Science Center this Saturday, June 13th. 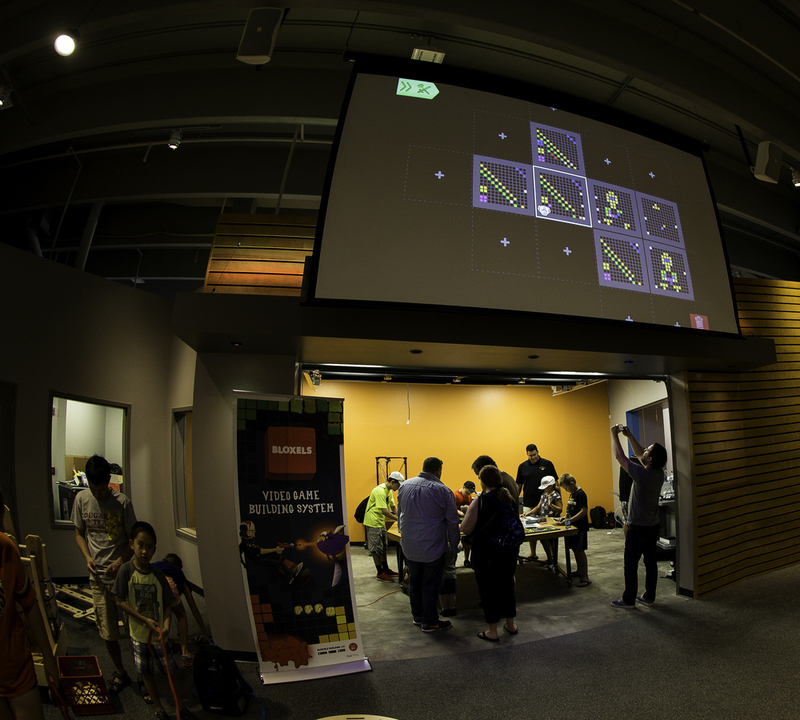 That's this coming Saturday! 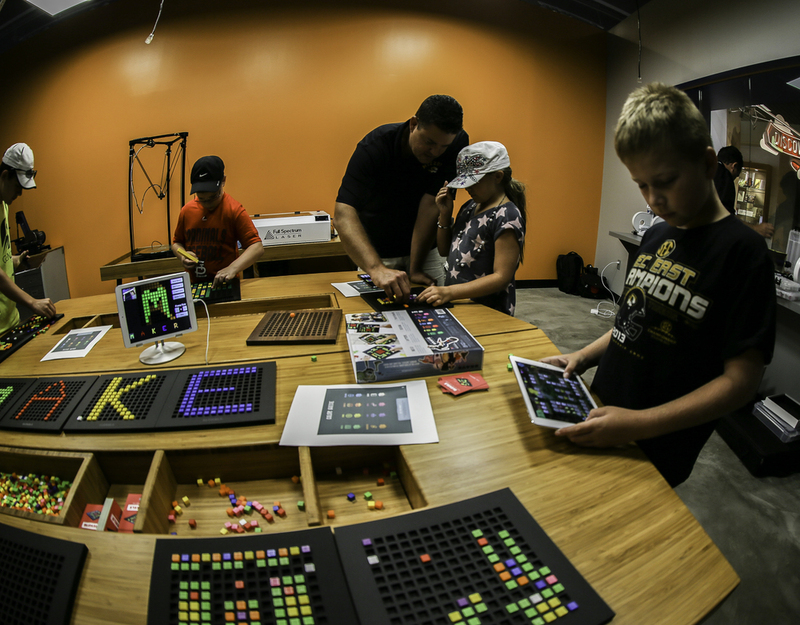 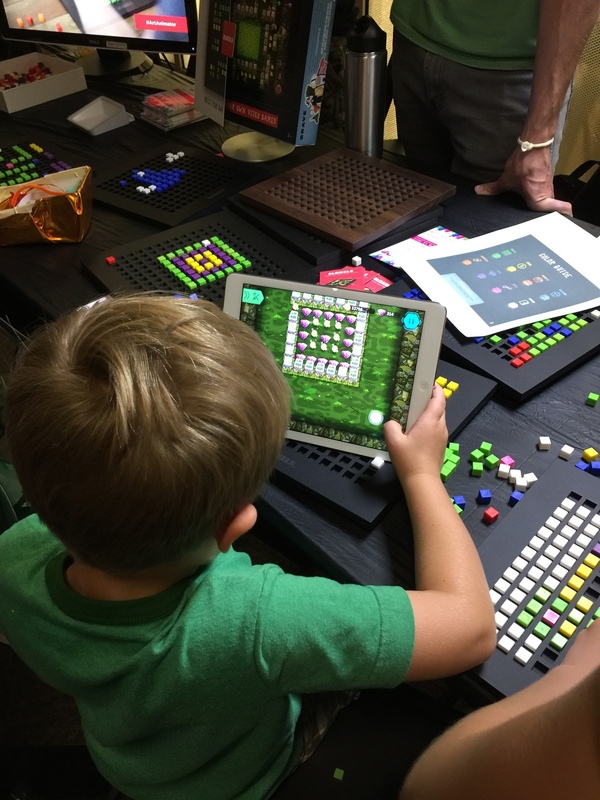 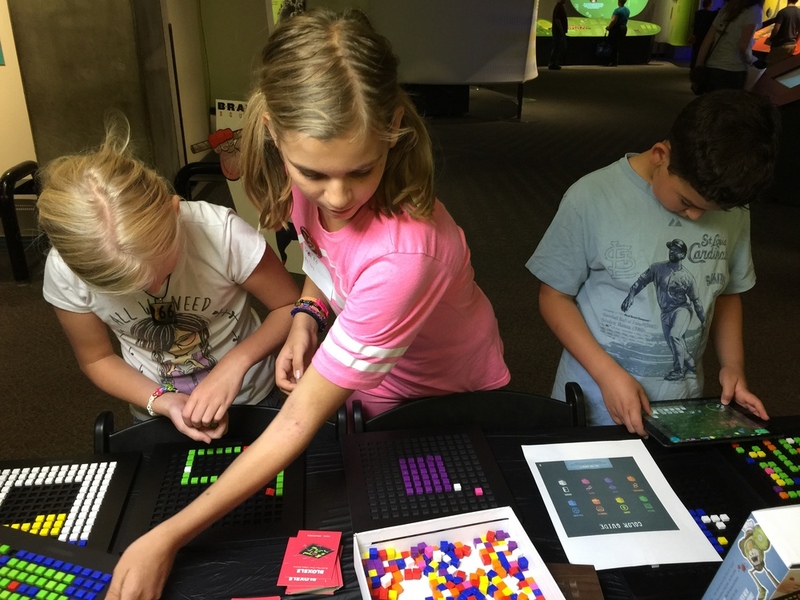 We, along with the Saint Louis Science Center staff, invite you to join us in experiencing Bloxels hands-on this Saturday and beyond in their new Makerspace. 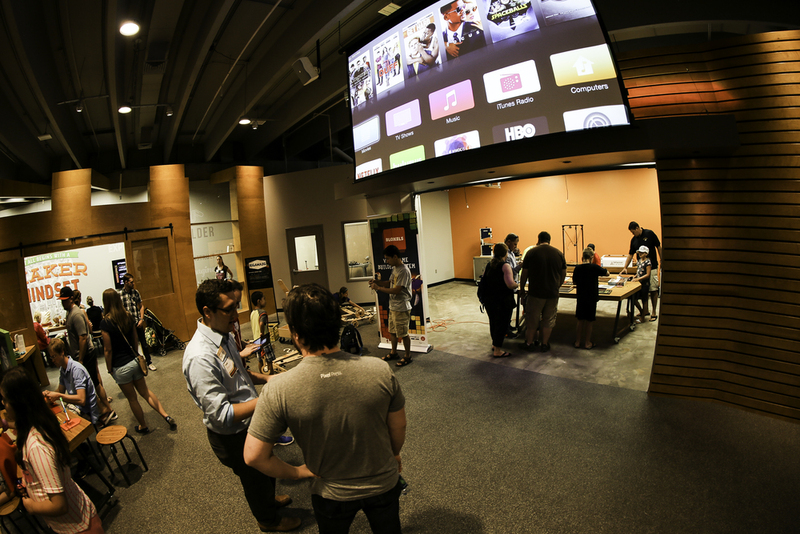 Our team will be on-site this Saturday from 9:30a to 11:30a and the space will be open until 5p on Saturday. 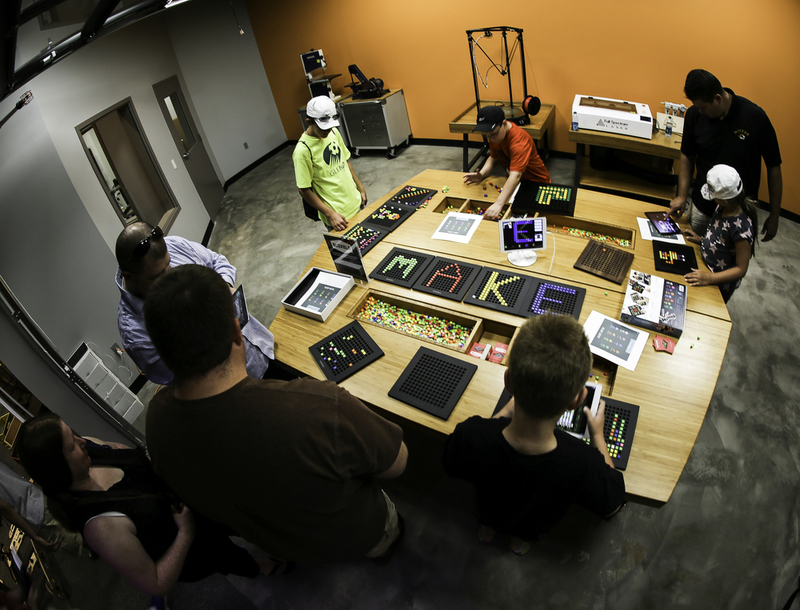 Click here to learn more about the Makerspace. 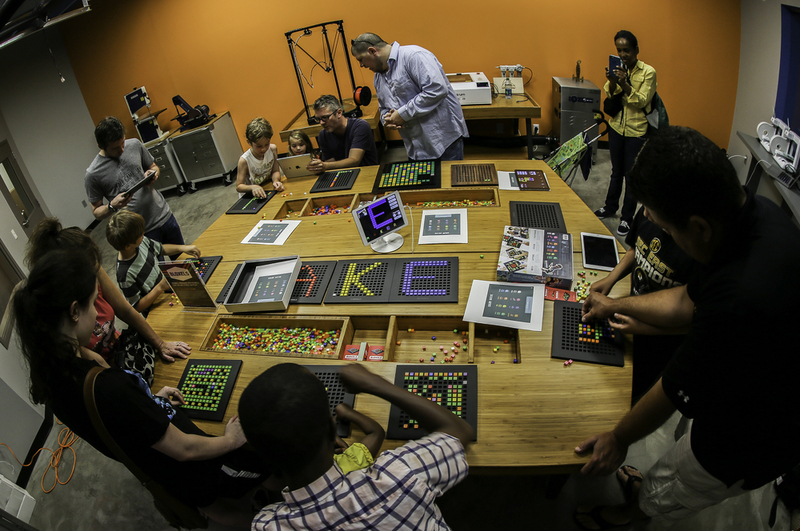 You'll be able to find us part of the Maker Garage as a Maker in Residence. 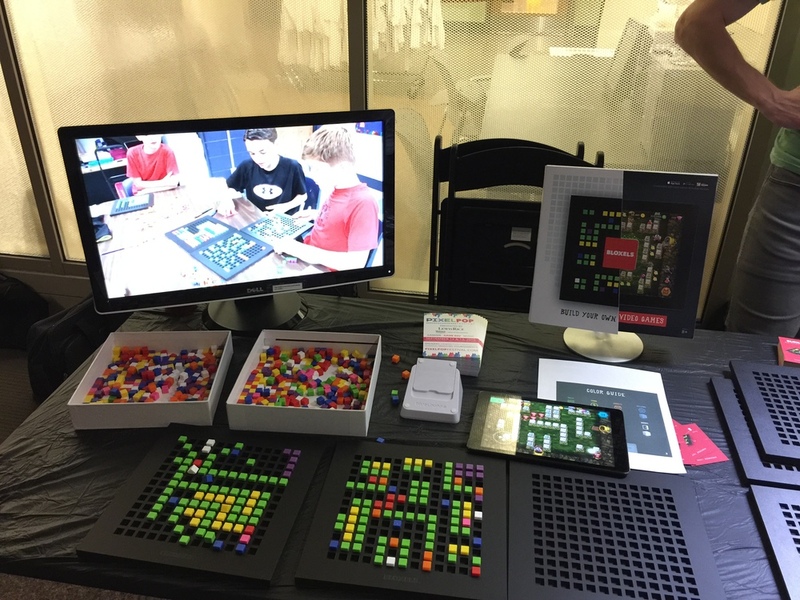 We are also partnering with the Science Center to create an exhibit based on Bloxels that will be developed with visitor input in the Makerspace. 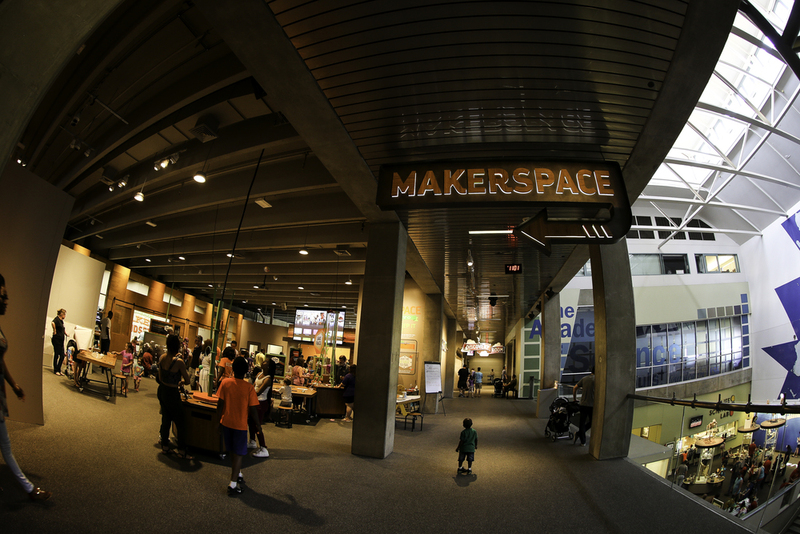 A big thanks to Galen Rath for taking photos and videos, to all our creators, and to the Science Center staff. 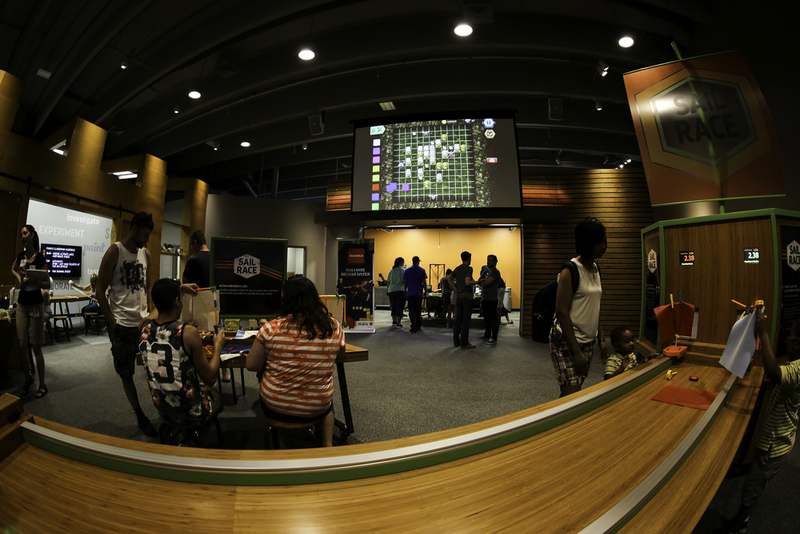 We had a great time and can't wait to be back soon.